This week I am featuring the lovely Joanne Wandel from Iron-ic Wellbeing. Joanne started her site to raise awareness about haemochromatosis and to help people live a happy and healthy life whilst managing the disease. Firstly, thanks for the lovely welcome Ness. I’m such a big fan of your blog so it’s a privilege to be featured as this week’s Friday Foodie. I’m Joanne and I blog about living with haemochromatosis, which is a genetic disorder one in every 200 Australians share. In short, haemochromatosis is an inherited disease that causes the body to absorb more iron from food than necessary, resulting in a build-up of iron stores in the body which can cause serious health conditions if not treated. I started Iron-ic Wellbeing earlier this year to inspire others to take responsibility for their health and to live the best life they can whilst managing this disease – be it through cooking wholesome low iron meals or proactively managing their wellbeing. I also pride myself on creating recipes that the whole family will love, so no one in the family need feel they are missing out! I was diagnosed with haemochromatosis some time ago now, however it has only been in the last little while that I’ve accepted the seriousness of my disease and taken responsibility for my health and wellbeing. I’m now on a journey to educate myself as to the treatments, dietary rules and best fitness regime for someone living with haemochromatosis – and I have never felt better – nutritionally, physically or spiritually. Creating Iron-ic Wellbeing has been a great vehicle through which to share all that I’m learning and I’m incredibly grateful for the passionate and nurturing community I’ve found through the blog. Give yourself a break when you fall off the wagon – we all do! Have a “cook-athon” on the weekend. I will often make batches of soups and curries on a lazy Sunday afternoon and freeze them so I know I have nutritious and delicious meals on hand when things don’t go to plan during the week. We have a very small family of two and thankfully there aren’t too many food struggles. My partner is interested in food and living a healthy lifestyle, so he likes to find new recipes for me to trial. I’m the primary chef in the family, however we do live by the golden rule that if I cook he does the dishes! So far so good. Whilst not an everyday occurrence, I cannot go past cheese and dark chocolate, and thankfully both are ok in moderation for people with haemochromatosis as they help to block iron absorption. We recently visited Gruyères in Switzerland where I did manage to indulge myself in my fair share of both! Cooking and sharing food! I know this sounds a little one dimensional, however cooking and creating new recipes is my therapy and I love nothing more than preparing a dinner party for family and friends, and then having them relish the fruits of my labour. There is something so rewarding about nurturing people I love with good, wholesome food. Writing about food would be a close second, and in particular sharing knowledge about low iron recipes on my blog is incredibly rewarding. I adore Moroccan food and I love nothing more than whipping up a quick tagine on a Sunday afternoon. Spices not only excite our taste buds and generate internal warmth, but also provide a broad range of medicinal benefits. In particular ginger, cinnamon, chilli and turmeric provide substantial health benefits for people with haemochromatosis, including reducing the symptoms of arthritis and joint pain, infections and abdominal pain and swelling. They also contain tannins, oxalates, phenolic compounds and phytates, which bind iron and help to reduce its absorption from foods. Heat oil and butter in a large heavy based tagine or saucepan until the sizzling subsides. Add onion, ginger, chilli and rosemary, and sauté until the onion is soft. Add the cinnamon sticks and remaining spices, cooking until there is a wonderful aroma (2-3 minutes). Add the tinned tomatoes and water (enough to cover the base of the tagine). Partially submerge the chicken and add the honey, dried apricot and prunes. Bring to the boil, then reduce heat, cover with a lid and cook for 35-40 minutes. Add preserved lemon if desired and sprinkle over fresh coriander. Joanne is a full time corporate leader, emerging yoga enthusiast, tea and coffee devotee, ardent book collector, lover of the written word, passionate home cook and lifetime nurturer. 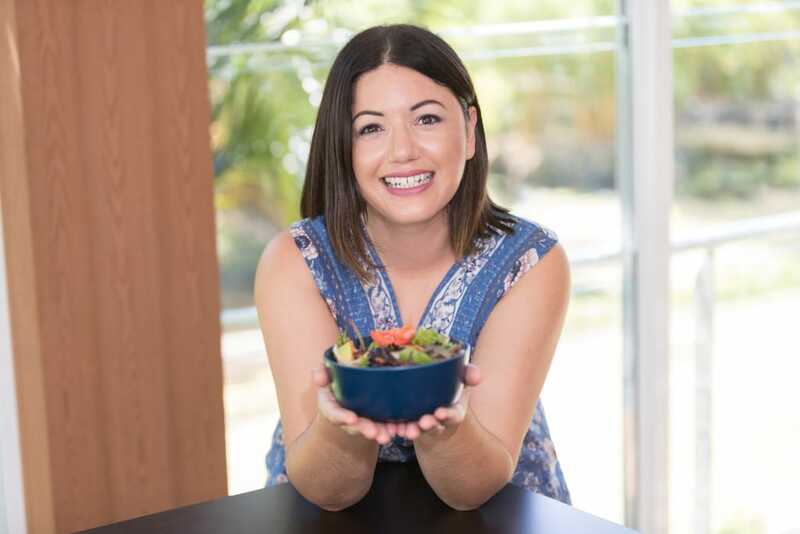 She started Iron-ic Wellbeing in 2015 as a vehicle for raising the profile of haemochromatosis – a genetic iron overload disease which affects one in every 200 Australians. Her weekly blog updates contain stories, recipes and tips on living your best life with haemochromatosis, all delivered from the perspective of a 40+ female adapting to this disorder.